I've been grappling with a story for a while, involving a scenario where gravity starts to fail. The goal of the story is mostly how people react to the knowledge that the world will end. But, I also wanted to include some sort of scientific group that is trying to figure out why. Are there plausible reasons that gravity would fail? I like stories to have at least a pinch of truth as an anchor, and I do want some sort of thought process that scientists would go through. Obviously there would be talking heads on TV giving reasons, so, what would those reasons be. There is a possibility that this will eventually happen. It depends on the energy density of dark energy in the universe, which we are currently unable to measure accurately enough to tell. Strictly speaking, this is not gravity failing so much as the expansion of space accelerating, but for all intents and purposes the results are the same. Basically everything in the universe is accelerating away from everything else, even on tiny scales, but the rate of expansion is greatly overpowered by gravity except on intergalactic scales. But if the expansion continues to accelerate, eventually it will overpower gravity. This will actually create a predictable sequence of events that can happen on human-measurable scales. It could make a great setting for a frantic race against the clock as scientists struggle to figure out a way of escaping the universe before everything ends. Using one hypothetical example using real equations, the Big Rip could happen 22 billion years from now. (This will be long after our own solar system is gone, but humanity's descendants could still be around). 60 million years before the end, galaxies become gravitationally unbound. Your setting is a lone solar system in a starless void. It is still habitable but the knowledge that there was once such a thing as stars could be long forgotten. Gravity starts to weaken. Quakes and cataclysmic upheaval become commonplace as the pressure holding the planet's insides inside diminishes. The atmosphere grows thin. The oceans boil. In the last few minutes before the end, the gravitational force cannot hold the planet together anymore and every planet in the solar system explodes at around the same time that the distant sun evaporates into the void. Anyone who manages to survive in spacecrafts have only a few minutes left before the accelerating expansion of space overpowers the binding energy of matter itself. There might be a few moments where they can actually feel it building up inside them before it rips apart their bodies, then their molecules, atoms, and finally subatomic particles themselves. You can adjust the timing if you want to introduce any kind of handwavium physical laws that we don't know about yet. In late 2283, a research team at the University of New Tokyo finally cracked the Unified Field problem. This gained them one of the most prestigious Nobel Prizes ever awarded in history. The results of this were initially amazing: it allowed on demand gravity control, the benefits of which were immense. Needless to say, everyone started making gravity control devices for vehicle levitation, space exploration, construction, etc. You name it, we found an application for gravity control. However, what nobody had anticipated was that the count of particles moderating the forces in the unified field theorem had been a balanced set of parameters, and the changes that occurred as a result of gravity control led to an ever increasing instability. In essence we'd been living in a local minimum for this parameter equation where everything was stable, but gravity control eventually pushed us out of this local minimum into an incredibly unstable landscape. One of the major side effects of this was that gravity slowly, but irreversibly, started to decrease. Keep in mind that gravity is but one characteristic of mass. You can't change just gravity without side effects. Those side effects are valuable to you as they can be used to advance your plot. A wormhole appears at the center of the planet, pulling mass away from the core. Thanks to the shell theorem, gravity must reduce to zero as you approach the center of the planetary sphere. Thus, the appearance wouldn't be immediately noticable, and if the mass were drawn off slowly enough, it wouldn't be appreciably obvious. Note that there would be side effects, such as liquid core currents changing, which would change the magnetosphere and possibly plate tectonics. Something in the universe, some ribbon of effect we know nothing about, is passing through our solar system and, thus, our planet is passing through it. This ribbon is changing the positive charge strength forcing atomic nucleai to spread apart. Not only is this reducing the density of planetary mass (and therefore gravity), but it's also causing the planet to increase in circumference. Something unseen is passing through the solar system. A "dark planet" (or, perhaps of greater interest, a ribbon of dark asteroids) with sufficient mass as any point of its passing to change the effective gravity on Earth. The planet or ribbon can pass through on a parabolic arc such that it would affect the Earth for most of a year. The side effect is that Earthlings standing on the side closest to the dark planet/belt/ribbon would be lighter, while those on the opposite side would feel heavier. Earthquakes would be normal. Shifting the Earth's orbit (perhaps moving it further from the sun, thereby solving global warming) would be expected. Q is really bored and decides to change the gravitational constant of the universe — but only in the Sol system. Not only would this be really hard to figure out what was going on, but ships leaving the system would sail through a breakwater (I'm using the wrong word, that point in the ocean when leaving a beach when the undersea landmass drops away and you get serious wave action. It killed the best friend of Moana's father. It was really sad and should convince all to live in Iowa). The theory that you can treat gravity as coming from a point source at the center of a sphere is only true when the sphere is reasonably solid or homogenous. Let's have some reaction (let's blame it on the Somalis this time, they built a planetary core implosion device) that caused the inner 25% of the planet's volume to suddenly compress such that a massive void appeared between the new basically neutronium core and the rest of the core/mantle. Not only would this change gravity by pulling a lot of mass further away from the surface, but it would have the side effect of the planet slowly starting to wobble in its rotation until that big marble comes in contact with the rest of the core and begins acting like that child's tooth in a paint can... or until the sudden vacuum causes the planet to violently shrink. What else, my fellow WorldBuildians! In what other ways can be bend, contort, graffiti, or otherwise ignore the fundamental rules of orbital mechanics and classical physics to bring about, if nothing else, the appearance of a lessening gravity? Scientists have long speculated that some fundamental constants of the universe, like the speed of light or the fine structure constants, are varying through time. Why not make it varying through space as well? This way a part of the galaxy can decay while the other parts are still bound by normal gravity. Unexpectedly for all the community of scientists in the world, gravitons (the particles mediating gravitational force) have a finite life time, and they are starting to decay. The more they decay, the more gravity is weakened. 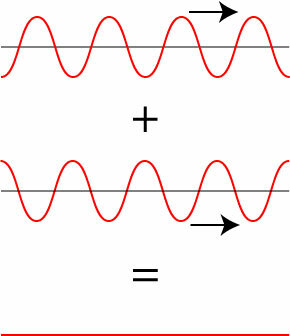 After a certain time gravity will no longer bind together masses, so unless they are electrically charged and can rely on good old Coulomb force, they are bound to separate. Space will be filled with atoms traveling around, no longer aggregated. The simulation hypothesis, that we are all living in a simulation, is really your best bet here. If gravity were capable of failing one would expect to see stars sort of just blinking out of existence every now and then, which we don't. That being said if we are living in a simulation (which is quite likely) then really the simulators can do whatever they want with physics. Aliens, "pull the fabric of space-time taught." does it mean anything? not really no. is it intuitive? yes. Freak variation in the gravitational constant. https://en.wikipedia.org/wiki/Time-variation_of_fundamental_constants. it's not certain that G the graviational constant of the universe is always well constant, Some theories hold that it varies. If it suddenly varies down (possibly even as a result of human tampering, probably not though.) gravity turns "off" simple as that. that being said this wipes out the universe not just earth. Bare in mind suddenly in this context could still be upwards of a million years or just a few seconds so it gives you a lot of narrative freedom. Presence of large numbers of "Anti-Gravitons". the Graviton (a hypothetical particle that carries the force of gravity) sometimes has an even more hypothetical counter part called the anti graviton aleins fire a bunch of theese at us and they react in unexpected ways with currently existing gravitons destroying them and sending the excess energy away as gravitational waves. Vacuum decay? there is a thing called Vacuum decay, most likely it will simply wipe out everything if real however there is a INCREDIBLY small chance that it simply re-writes the laws of reality instead. All of these answers (except Act of god & simulation, which have their own problems) are pseudo-scientific to the extreme and highly unlikely to actually work. If you go for simulation, god, or either of the aliens options you can always also put gravity back before the earth if fully destroyed leaving people left on earth with just a bunch of earth-quakes and a new outlook on life to deal with, if that's you narrative intention that is. To diminish gravity, you have to diminish mass. Currently the only way we know how to do that is to convert it explosively into energy. I don't think that will work for you here because if you converted enough of Earth that we would notice the lower gravity, the created energy would probably melt the crust and everyone on it. That makes for a short and tragic story. What you probably need here is a dimensional doorway, but that is way beyond our hard science, so the rest of this answer will be in violation of your "science-based" tag. If a dimensional doorway existed at the core of our planet, and if a steady stream of core material poured through that doorway and into another plane of existence, and if no reciprocal mass or energy came back through the doorway into our reality, then the planet would slowly (or not so slowly) loose mass. As this happened, the gravity would diminish, but so would the rotational velocity (making our days longer) and the magnetic field (making our days a lot more interesting, i.e. nuclear sunburn). It would get you what you are looking for in terms of failing gravity but the side effects might pose more urgent threats than the sudden weight loss. Space is warped, and Earth's gravity well intersects with something on the other side of the warp. The space where our planet once sat is becoming a wormhole, and gravity is failing from our perspective as a result. See the illustration below. After the largest underground nuclear bomb test in history, or maybe after another exciting and seemingly innocuous experiment at CERN, the small forces keeping atoms together in the earth's crust have ceased to function normally. The earth is losing mass to radiation at an alarming rate. In some parts of the world, people are dying from radiation sickness; in other parts, people are unable to reproduce, and in other parts the radiation exposure is minimal but the gravitational effects are nonetheless observable. Furthermore, this loss of mass results in large cave-ins, and cities falling into the ground like in Centralia PA.
Mass hysteria. It's not really happening, just everybody thinks it is. Earth's gravity has been slowly dying for a long time, but the change was imperceptibly small until now. Now the change is accelerating asymptotically. It only seems to be affecting our planet, but really this is just a stage in the lifecycle of every planet, and we haven't observed it before. Beings from another spacial dimension create some 5th dimensional equivalent to a dyson-sphere around our planet. Your best bet is to use gravitons, the quantum particle/fundamental force-carrying particle of gravity. Dark matter is also a good candidate. Gravitons are similar to photons, the quantum particle of the electromagnetic force (also responsible for giving us light). Like Photons, gravitons are thought to have zero rest mass. This means gravitons travel forever at the speed of light and do not decay. However, gravitons could actually have a very small rest mass which would theoretically allow them to decay into other (lighter) particles. Gravitons, which have some infinitesimal but nonzero rest mass, are finally starting to decay en-mass into other force-carrying particles such as photons or gluons. Dark Matter/Dark Energy - Physicists today observe large objects being attracted to certain areas of space that appear to be empty. Since we cannot observe what is attracting matter to these places other than that the attraction is happening via the gravitational force, we assume there is some massive body that is invisible to detection attracting everything. This scenario gives you the greatest flexibility since we really don't understand too much about Dark Matter/Energy. You could make it another form of life that exists in alternate dimensions or just have dark matter and energy be moving around the universe causing havoc. Currently we don't know if gravity is a wave or a particle, but I've read it theorized that it's both, similar to photons. If we assume that gravity can exist as a wave, then perhaps a wave that happen to be the inverse of the gravitational wave signature of Earth's gravity well could cancel out that waveform an therefore nullify gravity. I'm not sure if destructive interference would actually apply to gravity waves, but maybe! I would expect something like that to be temporary or fleeting, but there are plenty of cosmological events that might create gravity waves. It could even be a failed human experiment or intentional attack from an outside force. This wouldn't necessarily reduce gravity, but it would reduce the sensation of gravity. Make the Earth start Spinning faster for some reason. Maybe the core's Dynamo got stronger due to (insert handwave here) resulting in the Earth spinning faster due to the Handwave Principle of Handaway. The centrifugal force would mean that everything on Earth would feel a slight force push them upward, and the net force felt by things on Earth would be weaker. While you can't turn off gravity without getting rid of mass, it's possible to mess it up by counteracting it with another invisible force pointing in a different direction. For instance, when you're in a car that takes a sharp turn, you can feel being pushed outward. This is the centrifugal force, and it can even dominate over gravity when the turn is sharp enough, in which case the car flips over. How is this relevant to your case? See, we all experience a centrifugal force because of the earth's spin. A fraction of this force counteracts gravity (which always points to the core), however the effect is tiny because the earth spins slowly and has a huge radius: The closer you are at the equator, the stronger the effect. So, if you want to mess up gravity on earth, you can do so by making it spin faster. There's actually a formula you can use to calculate the centrifugal force, and compare it to gravity. Without getting into details, you can do some back-of-the-envelope calculations to determine that earth's gravity would start getting messed up by centrifugal forces if it were to spin ~10 times faster. That is, if the duration of a day (sunrise to sunset) were ~1hr long. How exactly would earth's gravity get messed up? In short, people at the poles would be unaffected, while those at the equator would basically start floating around (along with the entirety of the atmosphere). Things wouldn't be flung into space, though, because of inertia. People in between would feel lighter (reduced gravity), as well as experience a mysterious pull toward the equator (i.e., southward in the northern hemisphere, and northward in the southern hemisphere). In the above apocalyptic scenario, you can imagine that, as the earth spins faster and faster, a certain priviledged few would travel hurriedly toward the poles as the rest of humanity (as well as the atmosphere) gets pulled increasingly strongly toward the equator. It would be a very bizarre situation indeed, as what we all perceive as "down" would no longer feel like "down" anymore; as the earth's spins increases, "down" would increasingly be directed toward the horizon and in the direction of the equator. Not to mention you'd feel lighter and lighter, which, under "normal" conditions, is quite a pleasurable experience. There's a catch, of course: How do you actually spin the earth up in a fairly reasonable fashion as to make for a dramatic human story that's actually based on well-established scientific principles? One way I could think of, is reducing the earth's moment of inertia; i.e., changing its internal mass distribution. The more concentrated a body's mass is distributed along the rotation axis, the faster it rotates (conservation of angular momentum). So, without changing anything on the surface where the human drama unfolds, you need a mechanism that can plausibly cause the internal mass to get more concentrated toward the core. By playing around with some numbers, it turns out that you need to cram ~99% of the earth's mass right at the core to make the earth spin faster by a factor of ~10. The only mechanism I can think of that could possibly cause such a huge re-distribution of mass, is a swarm of black holes orbiting around each other in the vicinity of the earth's core. Note that these would have to be tiny, since an earth-mass black hole is ~1cm in size and you obviously don't want to add any mass to the earth, since that would mess up "natural" gravity. In any case, I didn't investigate the dynamics of a swarm of black holes; i.e., I don't know how quickly they could gobble up a good fraction of the earth's mass as to make the spin-up effect noticeable within a reasonable human timeframe (e.g., years of months). I can't even comment on the stability of such a hypothetical system, since I didn't do any pertinent calculations. I would suggest something in the lines of what happened at the end of Melancholia: a second large mass comes very close (and for some reason stays put at the required distance to make the story interesting), pretty much deforming gravity on Earth. If you need it to be transparent, non-spherically shaped, anything works really. Not every piece of debris (or alien planet-ship) is perfectly spherical. Note I am suggesting some articifial means to keep the large second object in place, enough to disturb pretty much everything gravity related, without breaking any of the underlying physics. Also be aware that normal gravity is the single most important thing keeping our atmosphere together. Thinking about this, I realised that the shell theorem is your friend, and would need to stretch reality a lot less than some other solutions. I may have to backtrack a bit to explain this, as it is indeed based on hard science. The problem in the question is that as far as we know, gravity is basically, positive only - there isn't negative (anti) gravity, or gravity shields. So the classic solutions have to centre around either mass reduction, or increasingly unlikely/pseudoscientific explanations with implausible implications. But there is another way gravity can fail. Let's start with the shell theorem. This is a mathematical/physics principle, that if you are anywhere inside a hollow symmetrical spherical shell, of any thickness, you don't experience any net gravity from it - it all cancels out. (Less mass but closer on one side, more mass but further away on the other, and they always exactly match). But suppose mass appears above you, that isn't part of a symmetrical shell. Now, you will experience some reduction in earths gravity locally, because of the upward pull. Just not very much. a research satellite is launched to perform some kind of extreme research in the vacuum of space, in some suitable orbit just outside earth's atmosphere. Unknown to those running it, and for [handwave] reasons, the satellite is acting as some kind of dense matter attractor - maybe it warps space or leaves behind some particle, or locally perturbs the vacuum state. The end result is that a series of mini-black holes appear in its wake, conveniently growing and of a size sufficient to influence earths surface gravity below. The satellite of course fails, after one or 2 orbits, but the mass concentrations continue to grow. They don't form a symmetrical shell, but a linear trail. They inherit the velocity of the satellite, so they don't immediately just fall inward to earth? The earth isn't affected much in its orbit - at least not immediately - but if figures out carefully, maybe there would be a local/regional impact on surface gravity, with scope for it to get worse, and other side effects, without having to "break" physics or cause immediate planetary breakup.....? It would have a more severe effect on high altitude objects, as well, which might be useful in a story. We had taken for granted for ages that gravity is only attractive. But it turned out that it wasn't. While trying to create chambers of absolute vacuum, it turned out that speed of effect of gravitation is related to the absolute amount of gravitational entropy ( how much of the available mass of the universe can be present at a given location). By creating a perfect vacuum scientists were able to stop the effects of gravity within a region. What was originally understood as vacuum wasn't really vacuum, but a region of space of negative mass which in the presence of other positive behaved like vacuum. Immediately new research begun and more and more people start researching on this. Meanwhile it turns out that by creating more and more perfect vacuums, we are creating more regions of negative mass. This negative mass is termed as Anti Dark Matter for it only interacts through gravitational forces and is repulsive. Termination of a vacuum doesn't always ensure that all the positive mass covers up the negative. As the gravitational interactions are very weak it was only noticed many more years later that the experiments which were run had caused a small leakage of negative mass that had somehow made it to the near the earth's outer core where it nicely found and equilibrium and settled. As Earth passes through various regions of space, overtime this negative mass at the core had been collecting more and more of negative mass, and it is growing exponentially. Gravity is caused by bending of space time (IRL). A big corporation has worked out a way of flattening it artificially - effectively "antigravity", and sells it as a product. The changing/failing gravity is a floating point error in the universe simulation. Many existing simulations of varying complexity use floating point numbers for their calculations. For example, the Unity game engine uses a floating point number for gravity strength. In this case, the floating point number would be the lifetime or duration of the gravity effect. It could even be tracking the lifetime of the universe, and the gravity is just a side effect. Specifically, Mutineer's Moon, the first book of David Weber's Fifth Imperium series. They needed to hide a very large starship in our solar system--they took the surface off the Moon and put it on the starship, tossed the core into the sun and took the moon's place. Lets take this further--at some time in the past aliens replaced Earth with a hidden starship. The fakery is good enough that even sounding of the innards doesen't reveal that it's starship and not planet. However, the starship is nowhere near as massive as the planet, it had to use a gravity generator to make things look real. The maintenance system on the starship is failing. There are actually many gravity generators in the starship so a failure doesn't leave the planet coming apart, but now they are wearing out. As generators fail the others take up the load--but not quite evenly and the additional load on them speeds their own failure and once enough have failed they can't maintain 1g anymore. When all the generators are dead there will still be some gravity due to the mass of the ship and the mass of the crust that was laid over the ship, but it won't be anything like 1g and won't keep an atmosphere for the long term. A great many people have independently considered the idea that gravity doesn't attract, it repels. The attraction observed between neighboring bodies is do to partial shielding of the bodies by one another. The shielding is small and proportional to mass. This doesn't actually work if you dig into the details, but you have to dig pretty deeply. The advantage now is that the source of gravitational pressure can be entirely divorced from mass and located a very long way away. Enabling this view of gravity would open up all kinds of options. It would seem that you are on the cusp of some event horizon that is about to isolate our corner of the universe from it's source of gravitination. OK, this one sounds a bit "space opera"-ish, but you can probably dress it up and make it pretty. Aliens from an alternate dimension/universe/what-have-you use "our" dimension/universe/etc as a convenient way to travel great distances in "their" dimension, because the mapping between the dimensions is such that traveling (a short distance) in "our" dimension is equivalent to traveling (a very very long distance) in theirs. Jumping from a "small" dimension (theirs) to a "big" dimension (ours) requires very little energy - but traveling from a "big" dimension to a "small" dimension requires A Lot of energy - and the energy (and thus the mass) is removed from the local area near the jump site and transferred to the "small" dimension. And, again unfortunately, the Sol system just happens to be conveniently located for their use - so they're sucking the energy/mass out of our area. Oh, BTW, that means the sun is going to go nova. Sorry about your luck, humans - BUT as a consolation prize the aliens have offered each and every human a set of genuine Alien Ginsu Steak Knives! They slice! They dice! They make your star blow up! Wooooo! Gravity doesn't "fail", any more than the other fundamental forces fail. If they could, we would live in an entirely different universe. If any of the forces "started to fail", so many catastrophic things would happen all at once that there would be no grace period. Not the answer you're looking for? 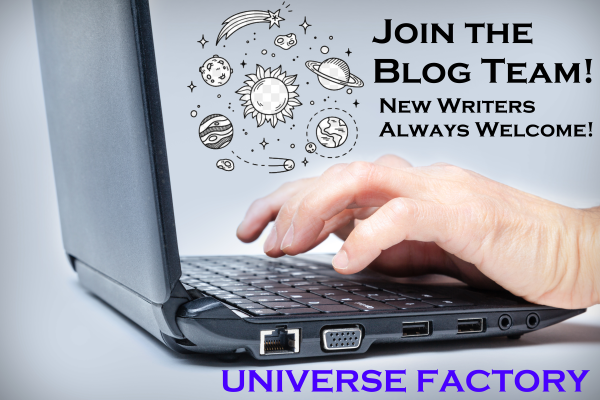 Browse other questions tagged science-based science-fiction gravity or ask your own question. Why might metals become unavailable on earth?